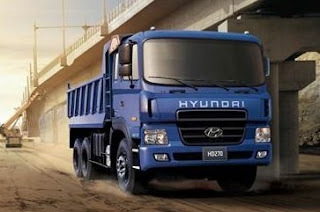 Hyundai Asia Resources, Inc. (HARI) proudly announces the exclusive distributorship of Hyundai Trucks and Buses in the Philippines, further expanding its offerings from passenger cars, SUVs and family vans to light to heavy commercial and cargo vehicles. This feat proves that HARI continues to realize and exceed its potential. Starting out as a passenger and light commercial automotive brand that rose to the top ranks in the Philippines, it is now poised to make an impact as a viable competitor in the business of trucks and buses. With Hyundai Trucks and Buses now in the fold, HARI expands and strengthens its presence as the lifetime partner of Filipinos, opening new possibilities for a new set of customers - local businesses and entrepreneurs - and moving from being a personal Life Space to a medium for progress. 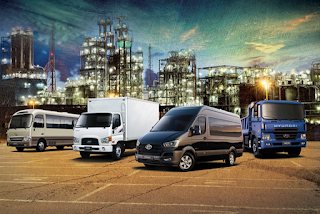 The newest ally of small-to-medium enterprises is designed to be a highly reliable and efficient business vehicle whose flexible platform supports diverse body styles, from cargo van to passenger bus, and more. The H350 distinctively blends Hyundai’s modern aesthetic with outstanding exterior design that matches the practicality and sophisticated taste of discerning entrepreneurs. Inside, the H350 redefines comfort with Hyundai’s man-machine ergonomic design and modern styling that is not only pleasing to the eye but also makes for more efficient operation inside the cabin. The H350 offers space like no other. All body types of the H350 feature a roomy cabin, uncompromising cargo capacity and cabin versatility for countless business needs. 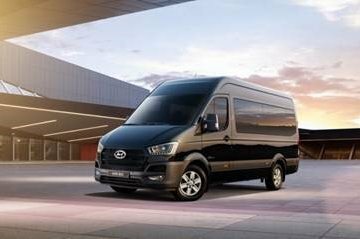 Tough and stylish, comfortable and dependable, the Hyundai HD series offers perfect solutions to the rigorous demands of business. Built using the highest quality Hyundai steel, every truck offers solid hauling performance matched with Hyundai’s world-class diesel engines for heavy-duty yet low maintenance operation to work for you 24/7. With less down time, the HD series guarantees dependability, efficiency, and flexibility, which means more owner and driver satisfaction, and increased profit potential. People make up the foremost passion of Hyundai. In all aspects of safety, comfort and luxury, Hyundai brings class and style to its premium people carrier. The Country is a definite head-turner with its exterior design beautifully harmonized with its practical personality. The rounded edges and smooth outer shell make for a clean and sleek image, while the flush panoramic windows give passengers an atmosphere of scenic freedom. Wider and taller cabin space, extra cabin storage and plush passenger seats provide best-in-class comfort, convenience and passenger safety. No dirty work is too challenging for the HD270 Dump Truck, which now comes with greater durability through its enhanced technology. Its reinforcement performs solidly and moves smoothly, confident to take on any load or road. Safety is never compromised, as the truck comes with reliable stoppers. With performance comes cost-efficiency, with choices of engines to suit the discerning customer’s preferences. Despite being a ‘heavy-duty’ vehicle, the HD270’s interiors are ergonomically designed for comfort and efficiency. 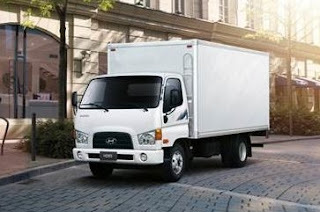 It is equipped with accessories and storage space to ease up work for the driver. The following pioneer dealerships shall be carrying Hyundai CVs. In Metro Manila: Hyundai Alabang, Hyundai Cainta, Hyundai Commonwealth, Hyundai Manila Bay, and Hyundai Shaw Boulevard. In the regions: Hyundai Biñan, Hyundai Bacolod, Hyundai Cebu, Hyundai Iloilo, and Hyundai Dasmariñas. Kasama po ba ung Hyundai Cabanatuan? 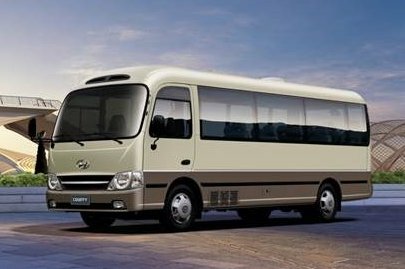 Favorite po ito ng mga Novo Ecijanos ang Hyundai Trucks and Buses. 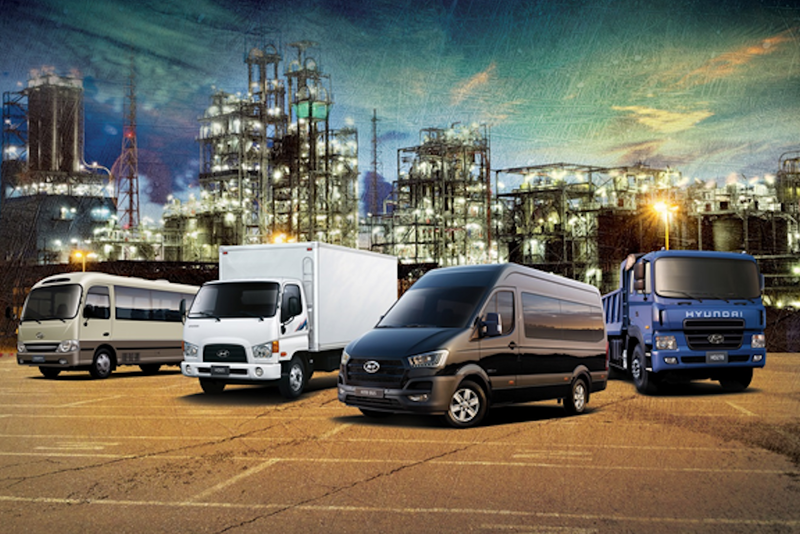 "The following pioneer dealerships shall be carrying Hyundai CVs. In Metro Manila: Hyundai Alabang, Hyundai Cainta, Hyundai Commonwealth, Hyundai Manila Bay, and Hyundai Shaw Boulevard. In the regions: Hyundai Biñan, Hyundai Bacolod, Hyundai Cebu, Hyundai Iloilo, and Hyundai Dasmariñas." ^Any brochure and pricing for the H350? This can be a good alternative for use as shuttle service (i.e. UV Express)... be warned Hi-Ace and Urvan! 1) Hehe not just celebrities and politicians.......but even private individuals that need something bigger than the Grand Starex/H-1 BUT want to stay within the Hyundai brand. 2) I actually saw this vehicle during the MIAS motor show and it is huge (like a Starex on steroids). The added vehicle length means that each row of seats has more occupant leg room than a typical Starex with 12 seats. That and another feature that surprised me about this car was the availability of a LANE DEPARTURE WARNING SYSTEM. Haha I never expected a feature like that in a vehicle this huge (and a commercial-oriented vehicle to boot)...........but yeah such a feature would help especially for those that are not used to driving vehicles of this size. 3) I heard that Hyundai can offer this vehicle to private individuals........so you can get one even if you only have a Non-Professional Driver's License. At 2.6 Million Pesos, it's quite a good deal.